Is Sitting And Standing Really The Future Of Workplace Comfort? 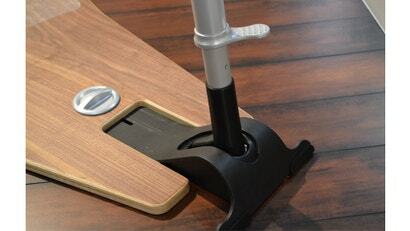 After designing footwear for several years, Martin Keen decided that he could apply the same knowledge he used to create comfortable shoes to furniture, resulting in an unorthodox workstation that has users sitting and standing at the same time. 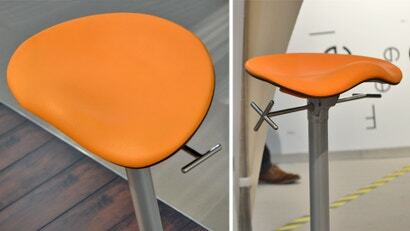 It seems the jury is still out on what exactly makes for the most ergonomic chair and desk combo. Remember, at one point ergonomics experts suggested we sit on giant inflatable balls all day long. 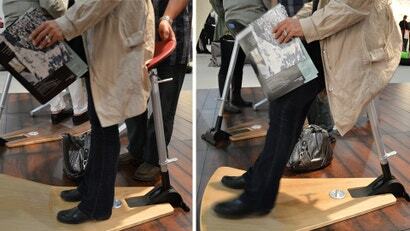 And, more recently, standing at an elevated desk seems to have caught on as another approach to improved workplace ergonomics. But that can be tiring. 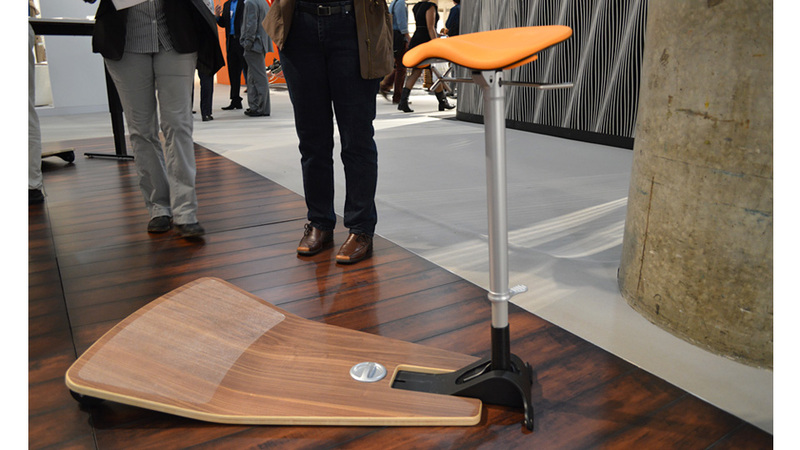 So the Focal Locus offers a compromise somewhere between sitting on a chair and standing at your desk. We got a chance to sit on it at ICFF 2012 and found it actually wasn't too bad. But sitting for 30 seconds is not the same as sitting for a few hours.